Tim Leigh and Bob Hoff founded Hoff & Leigh, Inc., in 1987. Hoff & Leigh is a Colorado Springs based, locally-owned, and market-leading, real estate company specializing in listing, leasing, selling and managing commercial property. Tim is a recognized problem solver. He is a consultant, salesman, negotiator, author, thinker, sales-trainer, mentor, coach and community leader who specializes in positioning commercial property for lease and sale. He helps building owners obtain their highest-value in the shortest-time by developing creative solutions to complex problems. Tim devises strategies to increase profit and minimize costs by negotiating best-value rent, assisting with the acquisition of high impact business locations and the sale or exchange of existing commercial property. 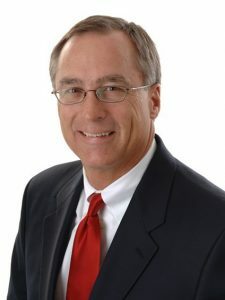 Tim is consistently one of the area’s Top Producing commercial real estate sales professionals. He is a multiple recipient of the Co-Star Power Broker Award and was named the area’s Best Metro Business Leader in 2005. He graduated from the Colorado Springs Leadership Institute – class of 2008. His widely read column, Tim Leigh’s Market Report, covers a variety of topics from business, economics, politics, real estate and life. Leigh owns a diverse personal portfolio of investment property including commercial buildings and single family homes. The commercial buildings include all asset classes; self-storage, office, warehouse, retail and flex. Tim is a native North Dakotan. He immigrated to Colorado Springs by way of an army enlistment and subsequent assignment to Fort Carson in 1975. After a 3 year tour of duty he was honorably discharged to Grand Forks where he earned his BSBA in marketing from the University of North Dakota. Realizing how cold and dark North Dakota winters really were, he returned to Colorado Springs as quickly as possible where he has lived, worked, invested and raised his family since 1982. As a community leader, and while serving as a Colorado Springs City Councilor and Board Member of the Colorado Springs Utilities Company, Leigh was instrumental in the successful transfer of Memorial Hospital to the University of Colorado Health System creating hundreds of jobs and millions in new investment. He was the Citizens’ Advocate against the unsustainable CSU Utilities policy of annual, ever-increasing utilities rates and he was known as the duck pond guy; the Sharrow’s bike-lane guy; the Incline guy; the Beach House guy and the City Councilor who promoted sports tourism. His supervening message is “We need to continuously enhance the culture in Colorado Springs to naturally attract young creative(s) and thereby, new business.” His continuing call to action is to brand Colorado Springs as “America’s Olympic City”. Tim received the Salvation Army’s prestigious Order of the Red Kettle for exemplary service and was the 2008 Boy Scout of the Year. He’s a past member of the board of the Chamber of Commerce and has been a Major Investor in the Colorado Springs Economic Development Corporation. Hoff & Leigh, Inc. is currently expanding its national footprint by way of its Hoff & Leigh National licensee affiliate program with affiliate offices in Akron, Salt Lake, Castle Rock, Tucson and candidate offices in Denver, Phoenix, Albuquerque, Cleveland, Tampa, and Fargo.